A Path to Success: December 2006 Winter Social - Mission Accomplished! December 2006 Winter Social - Mission Accomplished! 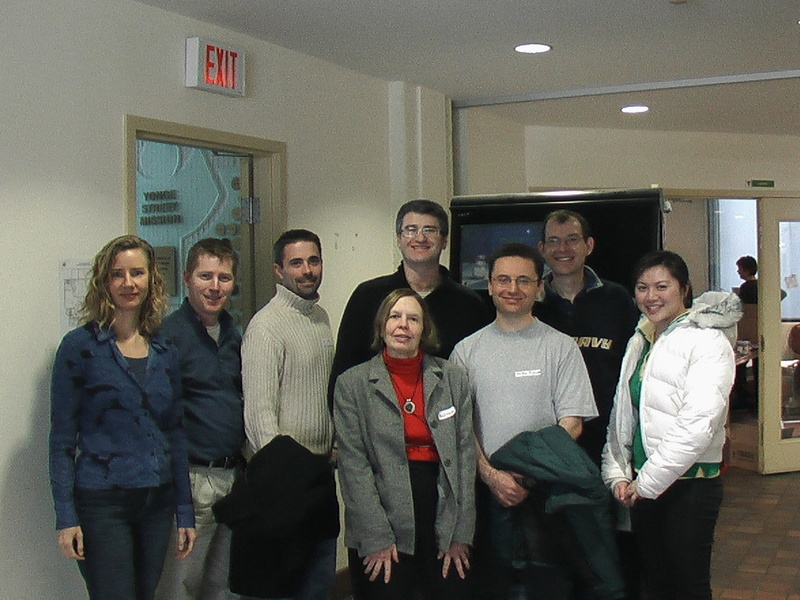 The December 2006 winter volunteer event went smashingly well. This year NewPath was able to coordinate the volunteer event with Nexus and Social Tech Brewing to get the word out to more people. We had twice as many people register to come out. 14 people signed up and just about all of them came out. We selected the Yonge Street Mission's Christmas Market this year as our volunteer event. The market is an event that allows families, single mothers and other less privileged to get toys, food and other neecesseties for the holiday season. I think it is great that YSM calls this a "market" -- each person gets to select what they want with the help of volunteers. Our group helped on the morning of Dec 21 from 9:30am to 12:30pm and enjoyed a nice lunch prepared by the volunteers as well in the kitchens of YSM. Thank you for coming out -- we hope you had a good time. I know I did -- helping a family from Afghanistan helping pick out toys and clothes for their 6 months old girl, 8 year old daughter and 10 year old son. They were just 2 years out of Afghanistan -- the mom noticed an automobile windshield sun visor with a Canadian flag on it. She thought it was a Canadian flag and was excited to have one -- I told her it was not but she could get one for free I am sure. Can someone help with a link to free Canadian flags? Here are some pictures from the event... The signs to the event were clearly labeled throughout the building. Here's Alex, Kevin and Richard at the entrance..
And here's (most) of the group that could stay till after lunch... Thanks folks for a great turnout... YSM very much appreciated it.